When done right, winter weddings in Portland are the most special kind of weddings. 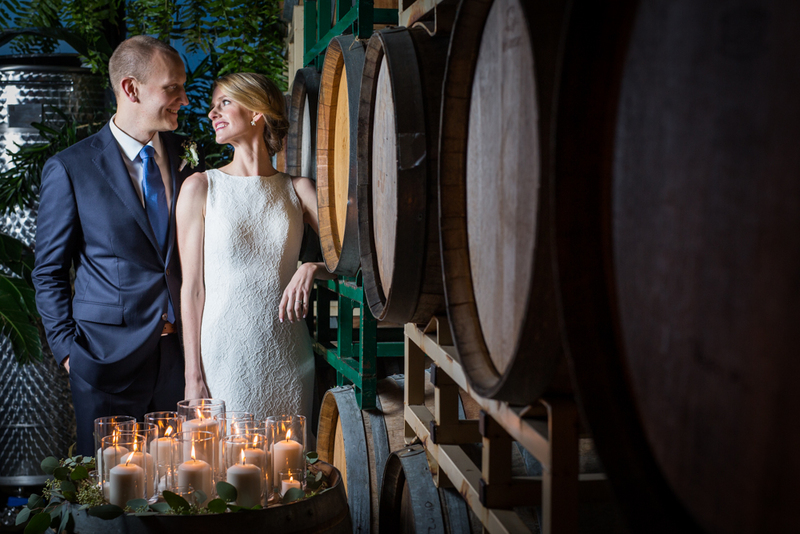 The early sunset reminds you of the long, special night ahead, the wet streets reflect the colors of holiday lights, and the warm, candle-lit interiors of the wedding venues invite guests in to stay and make it hard to leave. Alissa and Vitas had, as far as we’re concerned, the perfect winter wedding. Their chosen venue (Cooper’s Hall) is itself so beautiful that very few details are really necessary, and as a result everything Alissa and Vitas brought into the space was thoughtful and meaningful. The food and drink were truly incredible, the DJ was spinning real vinyl, and every single person in attendance seemed to have a great time. Vitas and Alissa‘s love story started when they met at a wedding, so it makes sense that they were so visibly happy and in love at theirs!